Special emphasis should be placed on that last part, though, as according to the Associated Press the festival drew a peak crowd of 65,922 people last year. Allen acknowledges this, admitting that even with the help of other law-enforcement agencies he doesn’t have enough manpower ”to issue citations to 70,000 naked people.” Still, Allen’s proclamation sets a different tone from his predecessor, a “Burner-friendly” sheriff who halted prosecution of pot charges entirely at last year’s festivities. 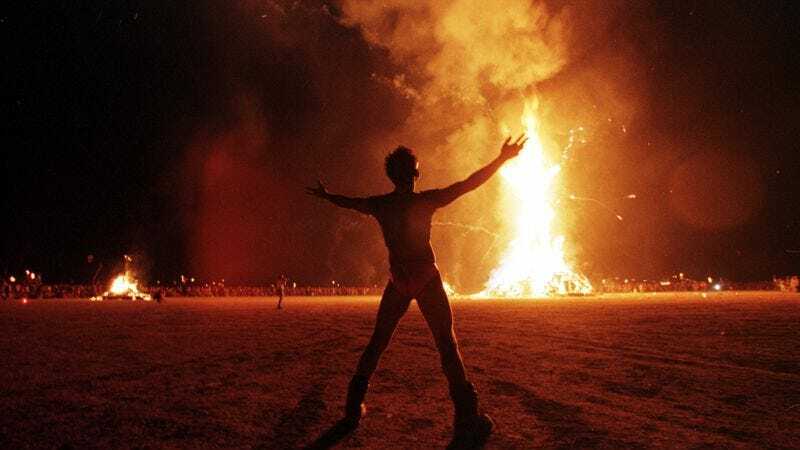 So listen up, burners, this is important: Go ahead and do your naked body-paint thing, but if you puke on a cop on the playa this year, whatever you do, don’t mention the ayahuasca.